It is Sunday evening, in the heart of Silver Spring, MD. The hands of summer have ushered the month of June into repose and July is fully roaring in all its glory. The sun is tired but refuses to retire away for the night. 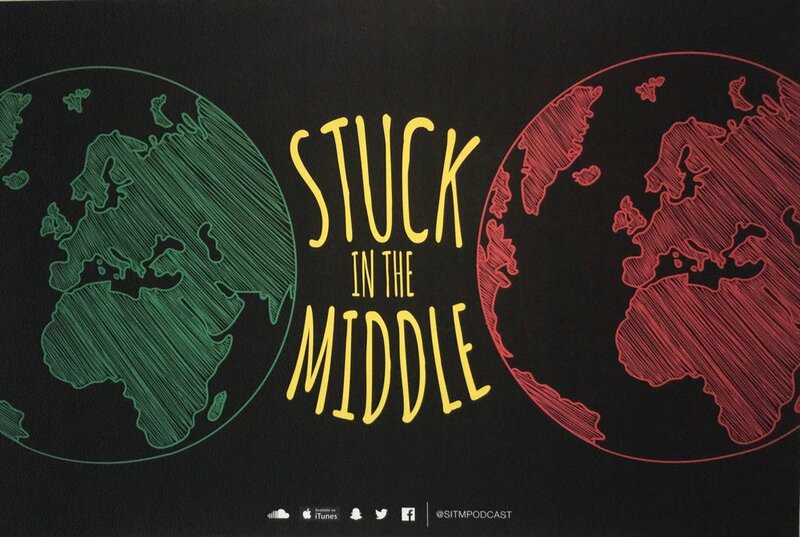 The year is half gone, half full, half expecting, pregnant perhaps with the potential of the great next thing that will shape our culture. We are in high spirits in our host’s double-decked apartment. The balcony doors are ajar and the single high-ceiling fan is struggling to fend the humidity away. There is a robust conversation about the World Cup brewing on the balcony. Another conversation about an African song bustles in the living room, and a mild laugh emerges from the vibrant bodies prepping the food and drinks in the kitchen. 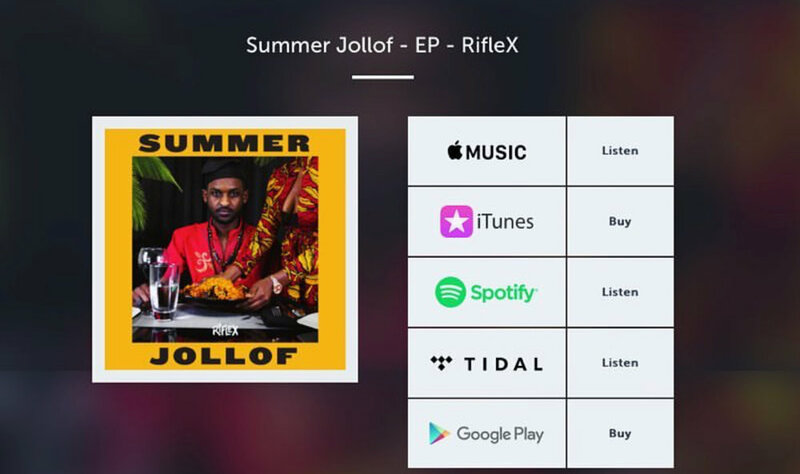 We are all alive, burning with zeal and expectation to finally commune over the recently released project titled ‘Summer Jollof’ from the artist familiarly known as RifleX. Jollof is a special West African dish cooked primarily with rice as its main ingredient and an assortment of other ingredients. The different recipes for Jollof vary from one country to another. Some Jollof recipes are simple; rice, palm oil, and tomato paste, while others are more complex consisting of a host of other ingredients. Jollof is a staple in most African functions and the mere mention of the name sends the mouth into a rage of saliva. The popularity of this dish has often brought about a friendly but fierce competition to determine whose Jollof is better. Tonight, the commentary wouldn’t be about the best Jollof because of RifleX’s Summer Jollofstands alone here. We will rather be discussing what ingredients were used in the making of this feast. RifleX’s Summer Jollof cannot be fully classified as a feast. At five tracks lasting about 16 minutes, Summer Jollof barely slides into the shelves of Album but also with context, any African understands that the Jollof does not need to be plenty to satisfy. It needs only to engage the taste buds and to give the body a reason to smile. RifleX perhaps knowingly painted a target on his back when he named this project, so the expectations are high. ‘Fine Gyel’ is next on the menu. This time, RifleX serves the Jollof with layers. The Afro-beats tune is produced by iSong Beats and almost like the previous song, the beat is mellow and sets an atmosphere. A two-note sequence piano tune overlays some congas. The feeling here is desire; a craving; a thirst of sorts. The supposed ‘Fine Gyel’ is causing a stir so much so that RifleX decides to sing to her. There is a degree of skill in singing an afrobeats hook and hooks make or break songs. RifleX’s singing muddies the waters here and puts the song in jeopardy. I take it that his confusion with this ‘Fine Gyel’ distorts him from his delivery but whatever is lost in his singing is saved with his lyricism. In true form, this singing is in pidgin but the aesthetics of the language and the singing are not fully coherent. There are episodic pauses in the singing that are questionable, leaving one to long for temporary fillers. As infatuated as he is with this gyel, he also makes it clear that fine gyel’s are not to be played with and definitely not the type to “wife.” RifleX’s rap through the last minute of the song, like pepper provides just enough sauce to make this particular Jollof palatable; salvageable. A piano and some harmonically distorted voices open up the next song. It sounds like a battle cry; a weary that arrest the body and just when you think this would be the mood for this particular song, RifleX comes in with the lines, “I just read a text from my God yo, promise he gon’ stay by my side.” Immediately, the burden is lightened, and one is reassured of this journey. This is RifleX’s affirmation song and he proudly declares that his fate stands on a solid rock; God. This proclamation is crowned perfectly with the highly evocative voice of Daramola as he reminds any listener to deviate from naysayers and to keep their eyes on the prize. “I don’t care, what they all say,” is the mantra. The beat shifts to an even more upbeat and confident tempo. RifleX’s versatility and talents are on full display in this song. The first verse brings together a host of languages namely Pidgin, French, English and his native ancestral tongue from Awing in the North West region of Cameroon. He also occasionally uses Twi (a Ghanaian language) as adlib to give his songs some more flavor. This is not especially complex or unordinary when it comes to RifleX, what is still amazing is how he is able to weave these languages all into one verse while making them move and dance in sync as if they were from the same house. This particular Jollof in all its splendor and complex assortment passes the test. To culminate this experience, RifleX invites us on his journey. On his way up, RifleX’s preferred mode of transportation is an elevator. It is easy to understand how RifleX could feel things looking up. In the past years, RifleX has been hard at work on his craft. Coming off a sturdy project last year titled ‘Afeseh,’ RifleX has managed to be consistent in delivering projects that stick. Summer Jollof to me is a level up from Afesehand definitely his best work thus far. Just like Unconditional and Don’t Care, 'Elevator' is produced by Mantra and who better to vocally shut down the album than Breana Marin. The song is the epitome of a positive vibe. It is the assurance of things coming and yet to be realized. RifleX insists that we trust the process, referencing moments when he “fell on his face” but kept going. There is resilience in his resolve; a praise in his passion and a deep faith in the fulfillment of dreams earned. As the song ‘Elevator’ glides to the end, everyone in the room is in good spirits. There are drinks in almost every hand and as the newly formed choir slowly realizes that the song is coming to an end, a new song rises. “Encore, encore, encore.” RifleX embraces the moment and performs Elevator one more time.